The Mt Vernon City School District has the opportunity to receive Federal Medicaid dollars through a program called the Ohio Medicaid School Program (MSP). Through this program, school districts can receive Medicaid dollars for services such as Speech, Audiology, Physical Therapy, Occupational Therapy, Nursing, Psychology, Counseling, and Social Work services. The district can receive funding when a student receives one or more of these services and the student has current Medicaid insurance coverage. 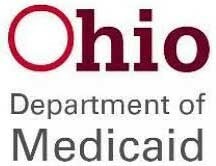 In the process of billing Medicaid for these services, certain billing information must be shared with the Ohio Department of Medicaid. Before the district can submit claim data for Medicaid billing purposes, we must first obtain a signed Parental Consent to Share Information and Access Medicaid. This annual notice is to inform you of all of your legal protections and rights under the Individuals with Disabilities Education Act (IDEA) and the Family Educational Rights and Privacy Act (FERPA). Your consent is voluntary. You have the right under 34 CFR Part 99 and Part 300 to withdraw your consent at any time. You are not required to enroll in Medicaid. Billing Medicaid will not require you to incur any out-of-pocket expenses such as a deductible or co-pay, decrease lifetime coverage, increase premiums or lead to the discontinuation of benefits, or result in you paying for services that would otherwise be covered by Medicaid. No matter whether you grant consent, refuse consent, or revoke your consent, your child will still be provided with an evaluation and/or the services listed in their IEP at no cost to you. For a more detailed explanation of Medicaid Parental Consent, please see the following Code of Federal Regulations (CFR). For specific questions regarding the Medicaid School Program Parental Consent, please contact Healthcare Billing Services, Inc. at (740) 639-4218 or at TeamHBS@aol.com.